The more seasoned a traveler, the smoother the journey. While making sure electronic devices are fully charged and your passport is safe in your pocket, purse or carry-on bag, there are other things you can learn from fellow smart travelers to ensure a smooth journey. Reader’s Digest lists five clever things we should do before a flight. Thinking positive and believing that everything will turn out well is a good thing to do when traveling, but it is better if we anticipate the inconvenient things. Flight delays and cancellations, accidents, delayed or lost luggage, for example. Leah Althiser, owner of travel blog The Frugal South told Reader’s Digest that when she planned an international trip with her family, she made sure to pay for flights, lodging and rental card with a credit card that offers reimbursement for inconveniences. “Most premium travel rewards credit cards offer these benefits, some with an annual fee less than US$100. These benefits can potentially save you thousands of dollars if something goes wrong on your trip,” said Althiser. Otherwise, you could purchase travel insurance. Apart from updating your friends and family on your travel plans, you should also notify the bank that issues your credit card. Tom Carr, founder and CEO of travel company Preferred Vacations, said to Reader’s Digest that banks were extra cautious about credit card fraud, and would likely block transactions that were out of the ordinary. “If you don’t travel often, it’s best to let them know where you‘ll be so you’re not in the checkout line or at a restaurant without a way to pay until you can speak with your bank,” Carr was quoted as saying. Preventing jet lag can start as soon as boarding the plane. The minute you are seated, act as if you are already in the time zone of your destination by adjusting mealtimes and time to sleep. Postpone your coffee intake until the nearest coffee time at your destination. Read also: Why do some holidaymakers like to dress to impress? Compression stockings will gently squeeze and snugly fit your legs. They are commonly used in sports or to help prevent serious medical conditions, according to WebMD. While improving blood circulation, compression stockings can also help eliminate pain and swelling in the legs and prevent such problems as deep vein thrombosis (DVT). These conditions are commonly found in travelers on long flights, as a result of remaining seated for quite a long time. Global medical director with AIG Travel William Spangler, said that DVT, which is the formation of blood clots, doesn’t cause much pain, but serious problems arise if the clots burst. Getting up at least every two hours to move your legs, or taking a walk up and down the aisle will also help to increase blood circulation. There are certain things you should always carry on board. A change of clothes is essential, just in case your luggage goes astray and doesn’t arrive at the same time you do. If you are on a long flight, a clean set of clothes could also be useful if you wish to change before landing. Jeff Miller, who owns travel blog Our Passion for Travel with his wife and has visited 73 countries, also suggests that travelers who are on medication bring the medicines in their carry-on luggage. 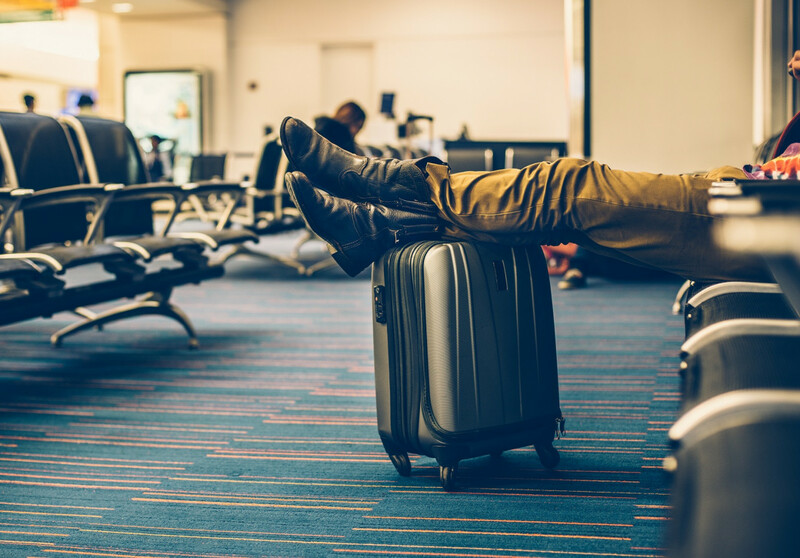 “Depending on your destination, in the event of lost luggage, your medication may not be easily accessible or may cost a small fortune,” Miller was quoted as saying.